A new feature, this is a growing index of Teskey ancestor pictures, collected by Ken McDonald from a variety of sources. we anticipate that these pictures will be linked also from individuals in the family tree after the next major update. Thanks to Laurie Donovan Case for this excellent photo and the following three. 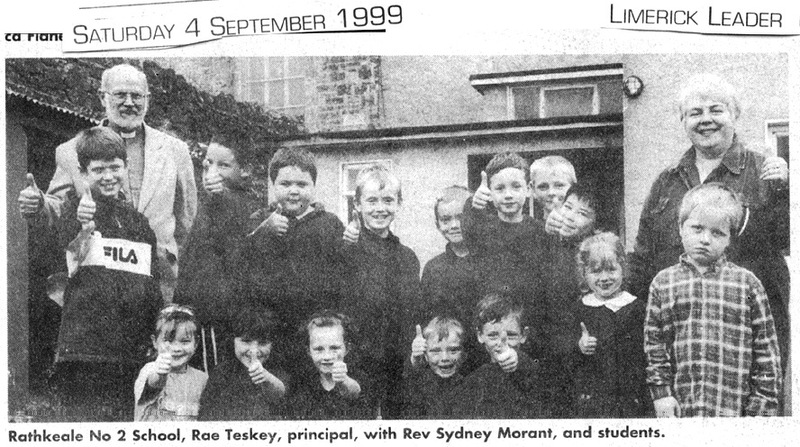 Pictures from the Teskey Reunion in Rathkeale, Co. Limerick, Ireland, Sept. 1999. These pictures may take awhile to load if you have a slow internet connection. Thanks to Ken McDonald for several of the shots. This newspaper article appeared in the Limerick Leader the weekend of the Reunion. This image should load in a new browser window. 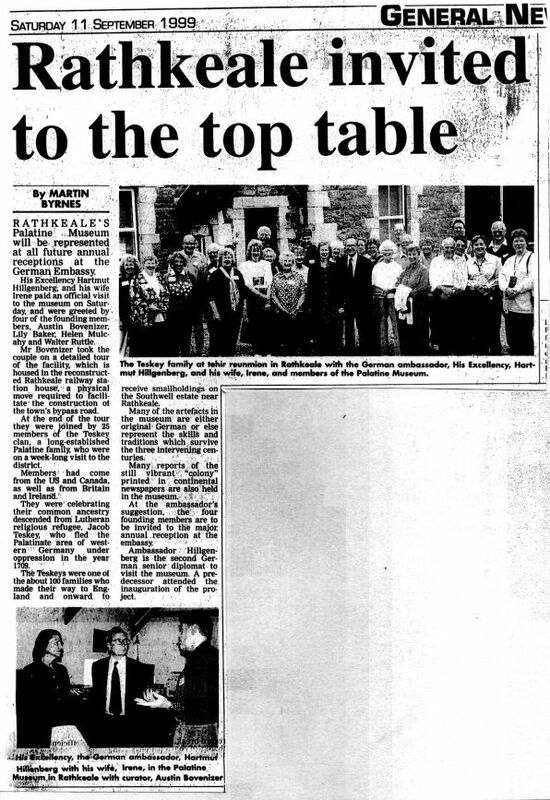 This newspaper article appeared in the Limerick Leader following the Reunion. This image should load in a new browser window. This group photo also fortuitously appeared in the same issue of the Limerick Leader as the first reunion article above. This image should load in a new browser window.